When the year 2016 began, Chatbot was a relatively obscure term. A few companies started experimenting with Chatbots. But by the end of 2016, Chatbots were among the top technological trends for the year. So, what has made Bots so important all of a sudden? A key reason is the ability of a Chatbot to understand and respond to Chats in a way another human would respond to. Over the years, communication has become too systemized and cryptic in nature. For example, if you want to know the status of a shipment, you will have to visit the website of the Logistics Service Provider and enter a specific code made up of alphabets and numbers. You get the current status in return. You will not be able to know the expected delivery time, neither can you reschedule or cancel the shipment, through the portal. In short, you cannot take the conversation forward without picking up your phone and calling the service provider. A few service providers have aimed to solve this issue by releasing a mobile App where in you can do a list of activities. On an average, a person has 10-15 active apps on their phone at any time. This is where Chatbots make a difference. They can function out of any messenger that you have on Phone. They can work on your Messenger, Skype, Slack, etc. A user does not need to install an extra app in that case, thereby can avoid cluttering his mobile device. Chatbots make interactions with an ERP system easier. Instead of traversing through complicated UI, Chatbots provide a conversational UI that users are already familiar. The BOT platform does the tough job of understanding the user's query, enquiring the ERP in a way it understands and then throws back information in a way that users understand and appreciate. In Logistics, where visibility is the key, Real Time information becomes very important. 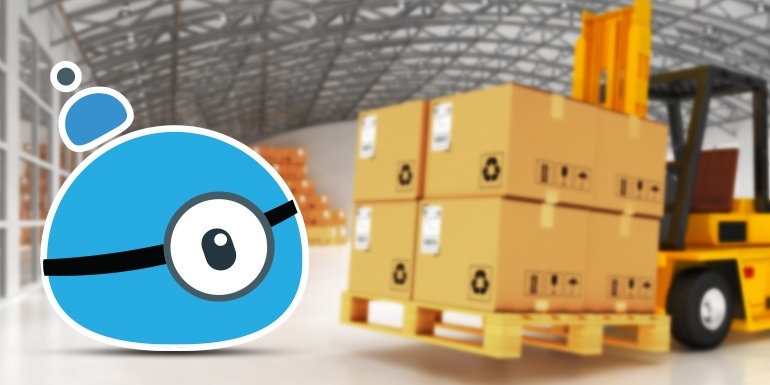 Instead of logging into the logistics software, an end customer can simply log into a messenger platform and ask the service provider, ‘Can you tell me my shipment status?’ The customer need not enter the complicated tracking number each time, as the BOT will remember the user history. Since the messaging platforms supports maps, you can also provide the current location of the shipment. The customer can also ask for rescheduling, which can happen in real time instead of a stop and start communication where someone has to manually open the system and feed data. Similarly, a customer can also ask for quotes on Chatbots instead of tinkering the CRM system. A simply query like, ‘I want to ship parcel from Phoenix to Ohio’ could be asked for which the response could be, ‘When do you want to ship? What is the weight of the parcel?’ and so on. At the end of the conversation, the Chatbot could offer a Quote for the customer and simply store it in the CRM system. Chatbots will reduce the dependency on data entry processes like order booking to a great extent and enable the customer to book from his mobile and track it. In the business of Logistics, where cost is a key factor and margins are diminishing, Chatbots could pave way for optimized resource management and lead to increase in customer engagement. As a part of Ramco’s Logistics software, we have developed chatbots so that our customers can interact with the logistics, warehousing and fleet software via bots thus helping them get real time information without logging into their system. In Ramco Systems, we say ‘Conversation is the new UI!' To know more about our new-age innovations around bots, mobility and Internet of Things, leave a comment below or write to us at contact@ramco.com.